–> The ratio must be 2:1, in terms of resolution and size. 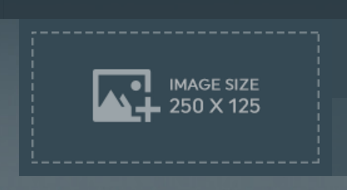 In other words, the image must be twice as long as it is high. The ideal size is indicated in the placeholder logo (250 pixels by 125 pixels). If the image doesn’t follow this guideline, it will be stretched to fit the box. This entry was posted in Dashboards. What are the differences between dashboards, reporting and data mining tools?